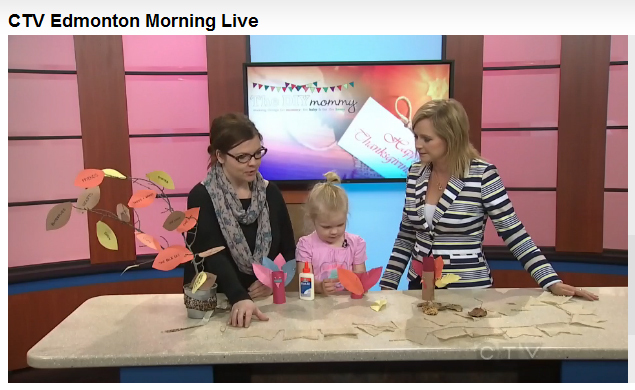 Little C and I had the honour again of going on CTV Edmonton Morning Live this week and sharing some Thanksgiving crafts! We shared our burlap banner, our thankful tree, and some fun turkey placeholders out of recycled toilet paper rolls. 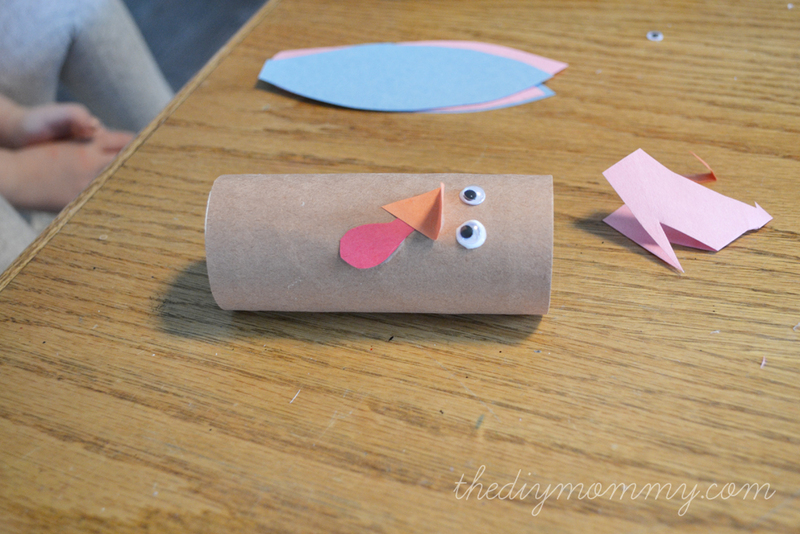 These little DIY turkeys are a blast to make, and they’re a fun activity to do with your kids as we head into Thanksgiving weekend. 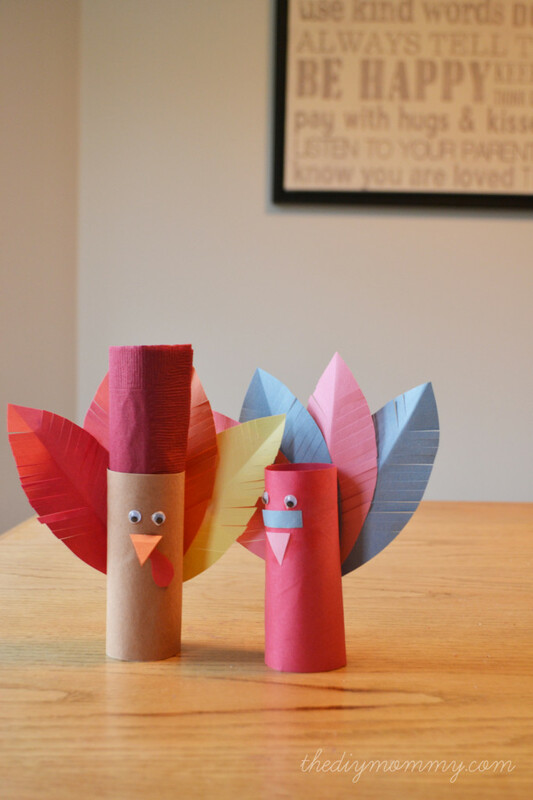 They can be used as placeholders for Thanksgiving dinner (just write people’s names around the bottom), and you can even roll napkins into tubes and place them in the top of the turkeys. 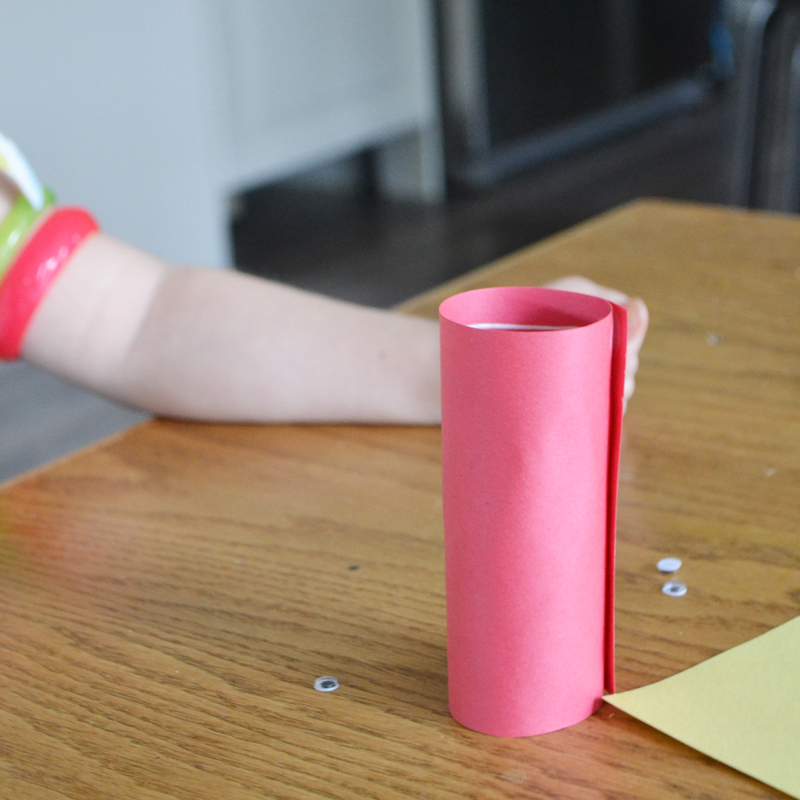 Cut a rectangular piece of construction paper large enough to wrap around the toilet paper roll. 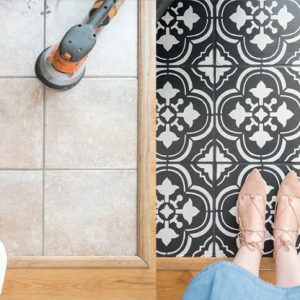 Glue the backside, and wrap it in place on the roll. Glue googly eyes onto the top front of the roll. 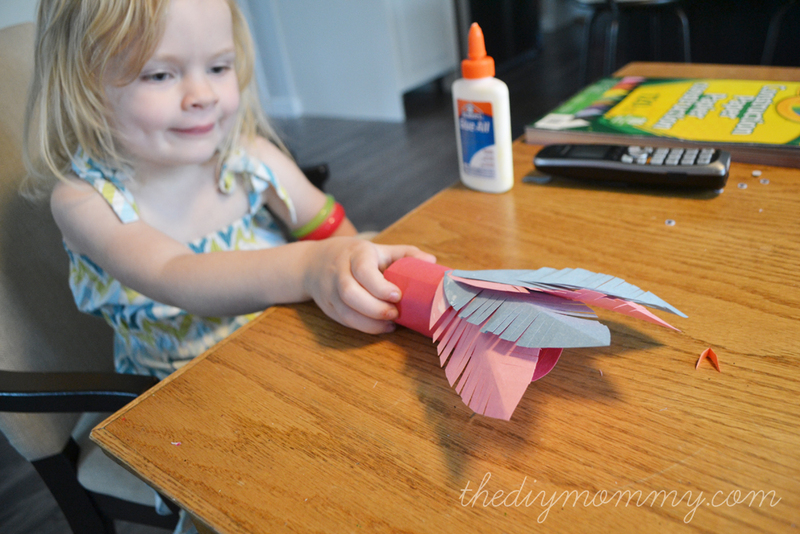 Cut out a triangle for a beak and glue that below the eyes. 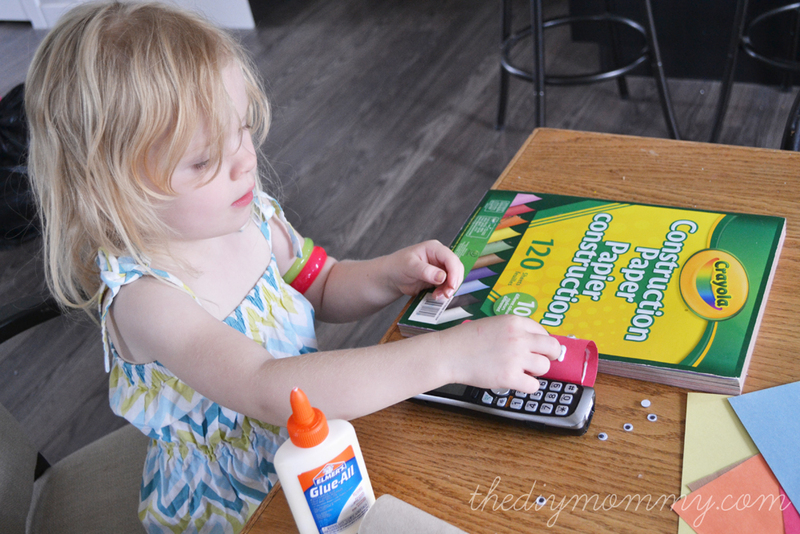 Add any other embellishments to the face with construction paper & glue. 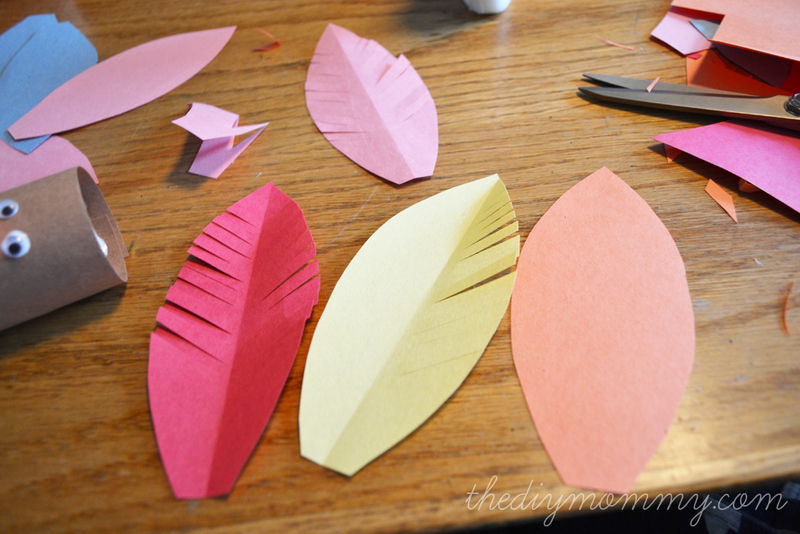 Cut “feathers” out of construction paper by folding it in half, cutting out a long & narrow crescent shape, cutting diagonal slits down the crescent, and then opening it up (as shown). 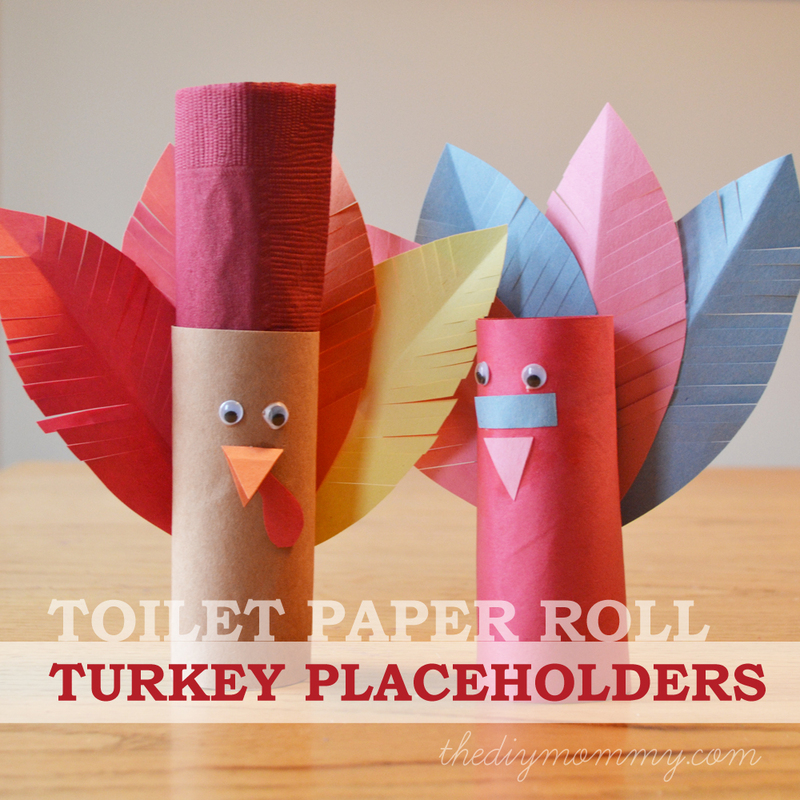 Make three or more feathers, and glue them in a fan to the back of the toilet paper roll to make the turkey’s tail. Let your little turkey dry, and enjoy him as a Thanksgiving dinner decoration! 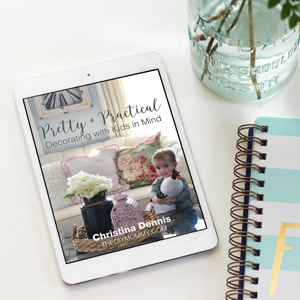 Make one for everyone at the table. Yes! Finally someone writes about george washington carver.